So you want to add under cabinet lighting to your kitchen, or perhaps add accent lighting to your deck or patio, but you’re not sure what kind of lighting to use. Do you want to go with rope light or opt for tape light instead? Depending on the application and placement, there are numerous advantages and disadvantages to each strand of light. In this post, we will breakdown these lights to see which one works best for your application. What are Rope Light and Tape Light? Rope light is a great, versatile tool that’s used in many lighting applications including adding a fun touch to your deck, accent lighting for restaurants, or creating word art for your wall. Operating on either 12 Volts or 120 Volts, these lights consist of a string of LED or incandescent lights encased in a flexible tube. Rope light is available in a single color or multi-colors. 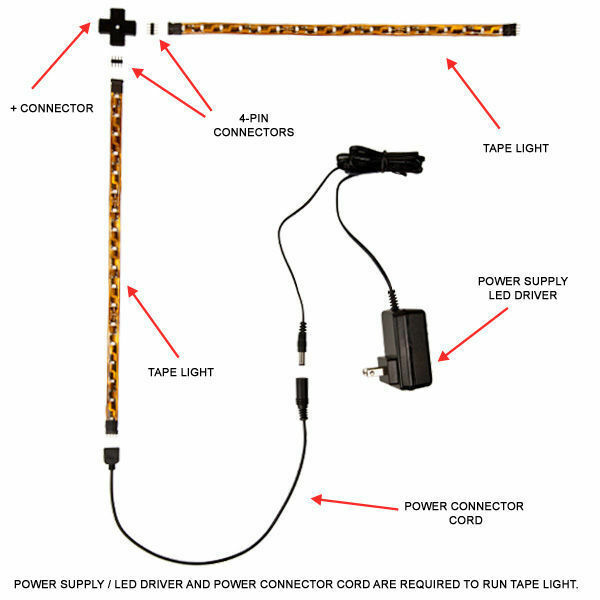 Other options include all-in-one kits, LED neon rope light, and hybrid LED flat rope light. Tape light, or LED strip light, looks exactly the way it sounds: flat. Most LED strip lights have an adhesive backing, these lights are super easy to install and conceal, making them a popular choice for lighting stairways, cabinets, and display shelves. Tape light operates on 12 or 24 Volts and comes in solid colors or color changing RGB. Solid color waterproof LED tape light is also available for lighting pools, fountains, and other applications that require submerged lights. These tape lights do not have an adhesive backing and use mounting clips instead. Where Can I Use Rope Light and Tape Light? *Low moisture applications but cannot be fully submersed in water. **Waterproof LED tape light and compatible accessories only. ***Requires cutting rope light and incorporating a corner or T-connector. ****Requires cutting, splicing, and sealing different segments of rope light. If using rope light or tape light outdoors, it’s vital that the proper safety precautions are taken to avoid electrical shock and shorts. Important factors to consider include exposures to moisture, humidity, and sunlight. Rope light is UL listed for wet locations, making it a popular choice for outdoor decorations including wrapping columns or lining paths. Single color and RBG tape light cannot come in direct contact with water, and needs to remain uncut and used in protected locations such as under porches or gazebos. If you want to use tape light in locations where there is water, choose waterproof LED tape light. Can Rope Light and Tape Light Be Cut? Most rope and tape light can be cut and have designated cutting spots usually notated by a white dashed line. Cutting anywhere other than the cutting marks will cause the lights to no longer work. Keep in mind that cutting rope light or tape light voids the UL safety rating. If you are using your lights outside, all connections made must be shrink wrapped in order to protect against moisture. The only lights that should not be cut are rope light kits and waterproof LED tape lights. Rope lights are pre-cut for easy installation and do not have cutting marks. Cutting waterproof tape light voids the UL listed safety rating and it’s waterproofing abilities. Both rope light and tape light have their limitations before the dreaded voltage drop becomes an issue, causing the lights to appear dim or fail to light. The "max run," refers to the maximum length of rope/tape light that can be wired to a single power source before any electrical issues or power loss occurs. In terms of sheer length, rope light has the upper hand when it comes to installations that require a long solid strand of light. A rope light rectifier for 2-wire 3/8 inch rope light or a rope light rectifier for 2-wire ½ inch rope light can also be integrated to increase the run length of LED rope lights to 1100 ft. Even though regular home owners don’t intend to light three and a half football fields with light, it certainly doesn’t hurt to have the option. If you are planning on using a 120V rope light, all you need to do is plug the power cord into the nearest outlet. 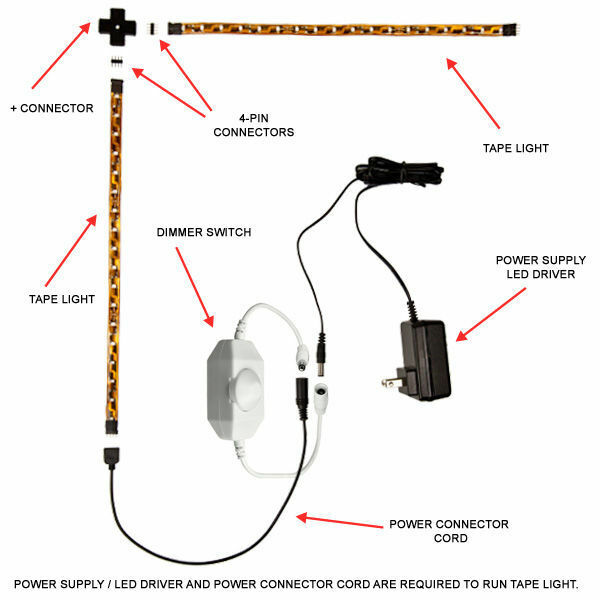 For both 12 and 24-Volt LED strip lights or rope lights you will need either an LED driver or step-down transformer. The very low power consumption of LEDs make them incompatible with today’s transformers. You can only use a step-down transformer to manage 12 Volt incandescent rope light. The driver and the transformer both lower the high voltages of main power sources, like the American standard 120 Volts, to the needed voltage of 12 or 24 Volts. Without this device, the uncontrolled power will fry your LEDs or incandescents. Each driver or transformer is rated for a specific wattage range. You should pay particular attention to the maximum wattage rating to make sure your device can handle the wattage of the length of lighting you’re using. To determine how many Watts your lighting uses, you’re going to need to do a little math. 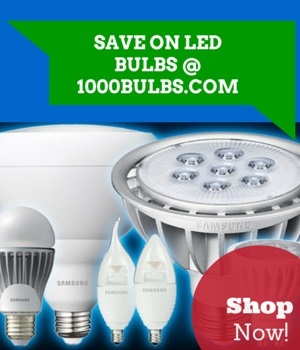 Multiply the total length of lights you want to use by the wattage per foot listed by the manufacturer. For example, you might buy an LED driver with a 24-Watt maximum but your 16 feet of strip lights uses 3.5 Watts per foot for a total of 56 Watts. You’re going to have to exchange that driver for a bigger one to ensure all of your lights stay lit. The amount of lights you can have in one continuous run is determined by the maximum wattage rating of your transformer or LED driver and National Electrical Code (NEC). Regardless of how powerful your driver is, the NEC can still limit the amount of lights per driver in order to prevent voltage drop from happening. Note: When installing rope light or tape light in damp or wet locations, make sure that the drivers and transformers are protected from direct contact with water. Driver adapters or connector cords are used to connect the driver or transformer to your lights. For 12 and 24-Volt lights, there will be wires at one end for you to connect to the wires from the driver. LED drivers with smaller maximum wattages may be built like power adapters and include a plug-in cord. For that kind of driver, you can purchase a coordinating power adapter cord or connector, which will have a single pin plug to link to the driver and connector for your lights at the other end. Note: Not all versions of rope and tape light are rated for the preceding effects. Rope light controllers must correspond with the diameter and wire count, same as connector pieces. These controllers may be compatible with LED only, incandescent only, or both, so make sure to pay close attention to compatibility. There are several ways to mount rope light and tape light. For rope light, use mounting clips for general installation or creating word art. These clips are attached to the surface and then the rope light snaps into place. If you need your lights in a straight line, use channel raceways. As mentioned earlier, most tape light has adhesive backing. You can also use channel guides to create custom fixtures or recessed channels. Waterproof tape light uses mounting clips that screw into place over the light. Overall, neither one is outright better than the other. Rope light and tape light each have their advantages over the other. It ultimately boils down to the specific needs of your application. For projects where you will need long runs of light, the maximum run length of rope light makes make this light the top choice. Just keep in mind that rope light may get hot and can be tricky to maneuver or conceal in tight spaces. For smaller projects where you want concealed lighting, LED tape light is a better choice. But if you’re looking to light your whole kitchen, things could get messy because every section requires its own power source, and you’re going to be left with a wad of cables to power those sections. Has this guide helped you install rope or tape light in your home or business? Share your rope and tape light project pictures with us on Facebook, Twitter, LinkedIn, and Pinterest! Original post by Jordan Loa. Additional information provided by Joshua Santa Cruz, Ashley Hunter, and Angela Rogers. Most recent update on 3/13/2019.